With various tactics for quick SEO success, it's important that businesses stay focused on what works in the long-run. When launching a new business, many entrepreneurs might recognize SEO as something they should do, but never quite get around to investing in it amidst the chaos of founding a startup. In fact, recent studies highlight that only 17 percent of small business owners have an SEO strategy, and 39 percent of small businesses aren’t investing in any marketing strategies at all. But, while an entrepreneur’s mind may be whirling with ideas about product development or new team members, it’s worth bringing SEO into the loop at an early a stage as possible. After all, it’s SEO that will lead customers to your company in the first place; a good SEO strategy can increase organic search engine traffic by more than 1000 percent, putting you ahead of competitors and helping to drive sales. Don’t fall for the "flavor of the month." Google uses specific criteria to rank websites, however constantly changes the ranking formula to provide the best search results. A popular SEO approach is trying to reverse engineer and estimate what this criteria is based on keywords, etc. -- kind of like cracking Google’s secret code. But, while this may work for a time, a company’s SEO strategy is back to square one once Google changes its algorithms. If you want to survive Google changes -- simply put -- you need to focus on being the best. Instead of starting with SEO keywords, make sure the content on your website is actually useful and that it provides better information than everyone else. In fact, the content on your website needs to be so good that Google would be embarrassed not to rank you. This means conducting studies, sharing insights on your blog, promoting videos and all in all, lots of quality inbound marketing. Next implement a distribution strategy. Participate in online communities related to your industry to expose your brand, share your website on popular forums or get your company in front of influencers or journalists who may have an interest. Once your brand’s been written about positively on a reputable publication, customers are sure to find you in search -- and consider you a trustworthy expert when they do. And while the ranking formulas are secret, Google shares the rules to get pages found and indexed for free (see here and here). In other words, avoid falling for the flavor of the month ranking tactic and focus on foundational SEO opportunities. This way, Google will be able to find and index your pages to begin with. 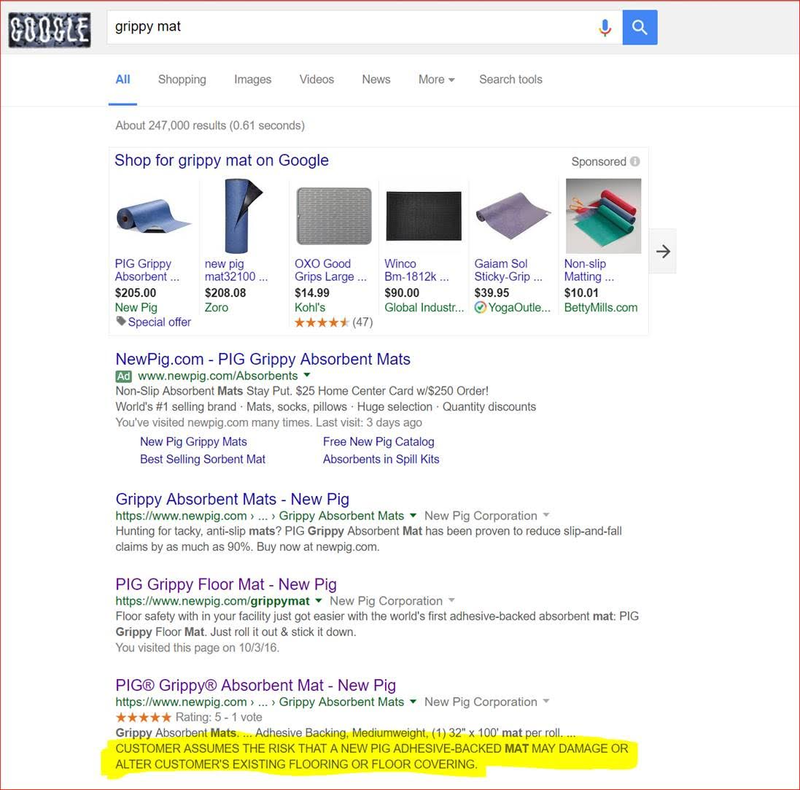 Customize messaging in organic search snippets. When Google presents a user with search results, it doesn’t just list a bunch of links. To save users from wasting time clicking through links that are relevant to them, the search engine provides organic search snippets. In other words, it’s a sample of content that tells a user what the web page is about, which is automatically generated by Google from the meta-description of the page. You need to customize the organic search snippet with the same consideration to detail as you would to a paid Google ad -- that is, with the most information about your company to attract users. You can customize the search snippet with ratings and reviews, images and other links, as well as multimedia content and breadcrumbs. Google provides a good overview of customization options, as well as exactly how to implement them here. When it comes to increasing organic search traffic, duplicate content on webpages can be a big roadblock. According to Google, duplicate content can arise from a website offering printer-only versions of websites, store items being shown via distinct URLs, or when discussion forums generate "stripped-down" pages for targeted users. The problem with duplicate content is that the pages rank individually and compete against each other for the same keywords; that means that they’re head-to-head for the same rankings. In this, it’s imperative to consolidate all content on your website so all your pages can work together to get the best rankings. Once you make the move you’ll see improved rankings within just a few weeks, and new website changes will be picked up faster by Google since it has to index fewer pages than before. Define a canonical URL. The same content is often accessed through different URLs. For example, a shirt sold on an e-retailer’s website may be defined under two different categories -- casualwear and new collection -- and therefore boast two different URLs. When you define a canonical URL, you are indicating your preferred URL to Google. Use 301 redirects. This changes the URL of a page in search results, and ensures users are directed to the right place. So if the shirt can be accessed through http://companyname/casual/blue-shirt as well as http://companyname/new/blue-shirt, pick your preferred URL using the canonical method, and redirect traffic to there using 301 redirects. But, keep in mind consolidating duplicate content shouldn’t just be about Google rankings. It should be about building quality links that are valuable to SEO performance. Duplicate content only puts your SEO efforts to waste. Imagine your company’s blog was cited in The New York Times. After a successful PR campaign, the mention was a huge win for the entire team. In fact, your website traffic has since increased by 45 percent. However, months later you decide to change the permalink structure on all your blogs to not include dates. While you may think the URLs now have a cleaner look, they just became a lot less useful. Those who try to visit your website from The New York Times end up with a stale link. And your website traffic drops by 30 percent. Entrepreneurs should always check for links leading to dead pages, and redirect them as soon as possible. Do this by running Google’s crawl errors report to make sure no one gets a "404 Not Found" error message when trying to access important content on your website. Once the report alerts you to dead links, you can 301 redirect them to other pages on your site and mark the URLs as fixed.